Denver Direct: New Justice Center? “It won’t look like a jail”. Denver Direct: What’s Wrong With Our Country? Denver Direct: What Can You Do? Denver Direct: Conflict of Interest? Denver Direct: District 5 Denver City Council Candidates Forum – Bonus Footage! Denver Direct: What’s Up With That? Denver Direct: Can We Learn by Example? Denver Direct: Come On, Let’s Rehab the Whole House! Denver Direct: Did Hancock Violate City Charter? Denver Direct: What is in the Effing Effluent? Denver Direct: Zoo – Festival Wrapped Up? Denver Direct: Come On Down! Denver Direct: What Ever Happened to Lynn Smith? Denver Direct: Bonds May be Issued, But Will They be Bought? Denver Direct: Come On Down to the Billion Dollar Bash. Denver Direct: What Are We? Idiots? Denver Direct: From the Unsinkables, Inc.
Denver Direct: Lowry Landfill Runoff Becomes Greywater Effluent Then Piped to City Park Lake? Denver Direct: We can be just like Texas! Denver Direct: Elyria about to get Stabilized. Denver Direct: Permits? We Don’t Need No Stinkin’ Permits! Denver Direct: You Live in District 8? Denver Direct: And the Answer is ……..
Denver Direct: Denver Mayor Hedgejumper: Extraordinary Event? OK, Now I’m the Decider. Denver Direct: When Leadership Counts …. Denver Direct: Breaking News – Denver District 8 Democrats Select …. Denver Direct: Denver Parks – Mayor’s Decision or People’s Vote? Denver Direct: And now for something completely different…. Denver Direct: Are we Really Stupid? Denver Direct: Wanna Buy Some Bonds? Denver Direct: Is Councilwoman Faatz the Only One Representing Denver Taxpayers? Denver Direct: Remember that $20,000 Duck Death Study? Denver Direct: Can You Hear Me Now? Denver Direct: Denver’s Department of Finance Outsourced to Dallas? Denver Direct: Will It Matter That You Were Here? Denver Direct: Decide What Your Neighbors Can Do! Denver Direct: Wouldn’t It Be Nice …. Denver Direct: Everyone is Going Gay! Denver Direct: Medicare for All! Denver Direct: Long Time Coming – Hallelujah! Denver Direct: The Vote is In. Denver Direct: Get Yours Now! Denver Direct: Who Will Control Our Parks? Denver Direct: Why is Charlie Brown Making So Much Sense? Denver Direct: What Does It Take to Fail in the Hickenlooper Administration? Denver Direct: What’s up with eBay? Denver Direct: New Hope for the Upside Down? Denver Direct: Has Obama Lost Control? Denver Direct: Sit! Down! Roll over! Denver Direct: “Chemicals” killed the ducks? “Really”? Denver Direct: DeFENSE – Will Bennet Show Up? Denver Direct: Rubber Bottom for Duck Pond? Denver Direct: Will Michael Bennet be remembered as the man who killed the Denver Public School System? Denver Direct: Robotic Warfare in Colorado? Denver Direct: See you there! Denver Direct: Two styles of beef production: Is one criminal in Colorado? Denver Direct: Finally. You can do something about Rocky Flats. GET THE DATA. Denver Direct: Go Larry, Go! Denver Direct: Whose Parks are They? Denver Direct: Park County Judge Groome, reversed by Colorado Appeals Court, will now play by the rules. Denver Direct: El Paso County Dispensary Ban? Denver Direct: Keep more of your own money. Help the government go on a diet. Vote in your own self-interest for a change. Denver Direct: What’s So Bad About “The Bad 3”? Denver Direct: When is Enough Enough? Denver Direct: Juanita Gable Gets It. Denver Direct: OK, Albus Brooks gets it. Denver Direct: The crux of the ranchers’ beef with our federal government. Denver Direct: Did Bennet and Easley lie about the DPS deal? Denver Direct: Good idea, and it’s free! Denver Direct: Hancock bars recording at press conferences? Seems to have become delusional. Denver Direct: We all know that recycled water is going to Washington Park and City Park, so how come we don’t see any signs posted? Denver Direct: What’s wrong with us? Denver Direct: You didn’t think Fukushima was over, did you? Denver Direct: Chris Romer’s Call for Transparency – Is he kidding? Denver Direct: Hey, it’s Saturday! Denver Direct: Is Your Bank in Danger of Failure? Denver Direct: Why Doesn’t Colorado Have Its Own Public Bank … Like North Dakota? Denver Direct: Temp Mayor Vidal wants a what? Denver Direct: Citizens for Responsible Aurora Government becoming too effective? Denver Direct: VERY IMPORTANT PUBLIC COMMENT JULY 29 DEADLINE – COMMENT NOW! Denver Direct: Oh yeah! FRIDAY! Denver Direct: Are you paying your Denver OPT Tax and Fee? or are you “hiding in your home”? Denver Direct: Hey, it’s (almost) Saturday! Denver Direct: The Weekend is Here! Denver Direct: Who is on Drugs? Denver Direct: What lies beneath? Denver Direct: Where’s the dirt? Denver Direct: Anonymous threatens Wall Street…or is it a false flag? Denver Direct: Is this the beginning of something…BIG? Denver Direct: OCCUPY DENVER REQUESTS SOLIDARITY FROM CITY COUNCIL, PRESENTS OVER 10,000 PETITION SIGNATURES. Denver Direct: Will this happen in Denver? Denver Direct: Brilliant idea! Forgive all student loans! Denver Direct: Neighborhood Crime Alert! Denver Direct: What will be the fate of the elevated section of I-70 through Elyria? Denver Direct: Setback for CINQ? Denver Direct: Woman Fights Bully, WINS! Denver Direct: Are you trying to figure out how to pay for college? Denver Direct: Global Nuclear War has already happened – they called it testing. Denver Direct: Promises? You still believe in promises? Denver Direct: Benzene leaking into Sand Creek? What about the benzene from Lowry Landfill being pumped daily into Washington Park and City Park by Metro Wastewater? Denver Direct: Happy New Year! Denver Direct: Now that’s just crazy! YouTube ad scam? Denver Direct: Your life is meaningless. Get over it and be liberated. Denver Direct: What I haven’t heard in Colorado’s discussion of setting legal limits for “driving while stoned”. Denver Direct: Colorado Sen. Mike Johnston “gets it”. 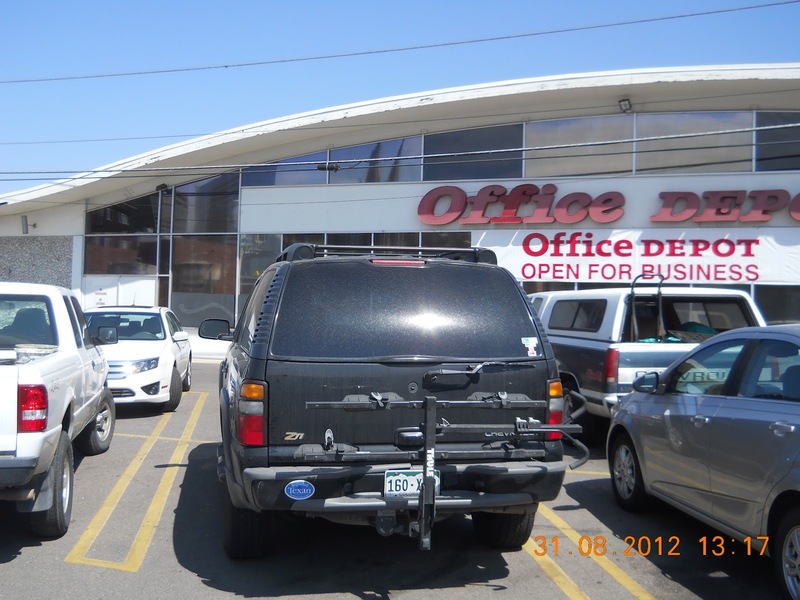 Denver Direct: If “zero citations and zero arrests”, why do we need a new ordinance? Denver Direct: Imagine you live a block or two from a park where an event takes place. Denver Direct: Long live Gary Reilly! Denver Direct: NATO protest livestream now. Denver Direct: Ruby Hill – A Jewel Of A Park Or A Crown Of Thorns? Denver Direct: What is the Meaning of the Camping Ban Ordinance to the Homeless and Denver’s Neighborhoods? Denver Direct: The senior director of bonds and construction at Denver Public Schools – J.T. (James) Allen – has a conflict of interest. Denver Direct: What’s up with Scott Gessler, Colorado’s Colorful Secretary of State? Denver Direct: Editorial: Why Denver Citizens Groups Always Seem To Lose These Days And Who Are Denver’s Real Heroes? Denver Direct: Felice to City Council: Write a better story. Denver Direct: Playground project turns into City Park redo. Denver Direct: Senator Pat Steadman invites everyone to a town hall meeting. Denver Direct: How is a “reusable” bag defined? Denver Direct: Forest fires a result of cloud-seeding? Denver Direct: Plastic bag tax – what are the facts? Denver Direct: What is the Office of the Independent Monitor? Denver Direct: Where are the free schools for Colorado kids 18 – 21? Denver Direct: AND THE ANSWER IS…. 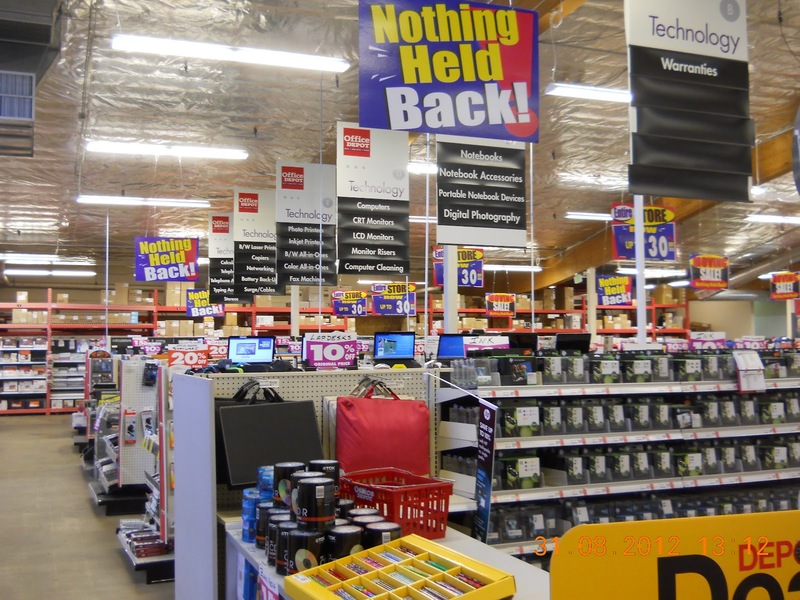 Denver Direct: CAN WE AT LEAST SEE WHAT THE TRANS-PACIFIC PARTNERSHIP IS BEFORE IT GETS VOTED ON? Denver Direct: DID YOU KNOW? Denver Direct: HAVE YOU EVER TRIED A TELEPHONE TOWN HALL MEETING? Denver Direct: Merry Christmas – Family gets $10,000 for expense of moving to Colorado for medical marijuana to treat daughter’s seizures. Denver Direct: Pinon Canyon Buy-back? Denver Direct: and is Gun Control a Red Herring? Denver Direct: YET ANOTHER TAX PROPOSAL? Denver Direct: The City Park West Neighborhood Association is up and operating again. Denver Direct: Big News! $447,000 for Globeville, Elyria and Swansea Projects! Denver Direct: Do you live in Stapleton? Denver Direct: HANDS ON HEMP – HEMP HISTORY WEEK KICK-OFF!! Denver Direct: Is The Denver Post website infected this morning? Denver Direct: Where can I buy Twirling Hippy Confections? Denver Direct: STOP THE UGLY! Denver Direct: EZ VOTING – JUST SAY NO, NO, NO, NO, NO, NO! Denver Direct: MAYOR MICHAEL B. HANCOCK IS COMING TO YOUR NEIGHBORHOOD! Denver Direct: OUR SHIP TOOK A HIT and WE SHUDDERED ! BUT WE’VE CLEANED THE BARRELS AND OUR CANNONS ARE RETURNING FIRE!! Denver Direct: Where in the world is Councilman Albus Brooks? Denver Direct: Will the school tax ($950M) be voted down? Denver Direct: Councilman Albus Brooks is where? Denver Direct: CAN TPP BE DEFEATED? Denver Direct: WHAT ABOUT THIS SECTION OF A64? Denver Direct: Between 17th Ave and 16th Ave, the alley between High St & Race St.
Denver Direct: DEFLECTION FROM POLICE BRUTALITY ISSUE? Denver Direct: The Pirates and their clever plot to steal our Park in a court of law on May 19, 2014. Denver Direct: Copy and send this email now…. Denver Direct: Please join us at City Loop Stakeholder/Focus Group meetings! Denver Direct: UPDATED: We MUST stop the US 36 privatization. Colorado has 3 days or less to take action. By Thurs Feb 13 the deal will be signed. Denver Direct: How long do YOU want to live? Denver Direct: Publicopoly – WHAT? Denver Direct: Amendment to the Denver Revised Municipal Code, Chapter 59, §59-2 Revisions to Address Limited Allowance for Residential Growing of Marijuana DRMC, Sec. 59-2. Former chapter 59. Denver Direct: CHIVE FEST – BUT WHAT ABOUT THE ANIMALS? Denver Direct: City Charter § 2.4.5 – Sale and leasing of parks. Denver Direct: IS CHIVE FEST IN DENVER A HOAX? Denver Direct: Join us in Denver as we rally in support of the EPA’s Clean Power Plan! Denver Direct: Cheesman Park Play area – $3.5 million expansion? Denver Direct: What will it take before the people are provoked into action? Denver Direct: From the Zoo re: City Loop – What? Denver Direct: Is Denver now, or will it ever be, a WORLD CLASS CITY? Denver Direct: Is Neighborhood Opinion Obstructive and Uninformed? Denver Direct: So what ever happened with City Park Loop – (expansion of Dustin Redd Playground)? Denver Direct: Close PCMS, says Not 1 More Acre! Denver Direct: OUR MAN DAVE IN D.C.
Denver Direct: WHY DID DENVER POLICE GO ALL “NYCPD” ON THE PEACEFUL PROTESTERS? Denver Direct: Ten Ways the Trans-Pacific Partnership (TPP) Would Hurt Working Families in the U.S.
Denver Direct: YOU WANT THIS? SHOW UP. Denver Direct: Where is our Festival Park? Denver Direct: Join Mayor Michael B. Hancock for Cabinet in the Community! Denver Direct: Opportunities to make a public comment tonight & tomorrow night at CDOT hearings. Denver Direct: Public roads for private profit? I don’t think so. Denver Direct: Petition for certiorari filed in the Colorado Supreme Court on October 28, 2015. Denver Direct: City Park Historic Designation Exploration Committee. Denver Direct: INCINERATOR IN CITY PARK? AT THE ZOO? FOR REAL? Denver Direct: THAT WAS THE TIPPING POINT WE JUST WHIZZED PAST. Denver Direct: We have received no official reply. Denver Direct: THIS IS NOT A POEM !! Denver Direct: CPFAN BOARD OF DIRECTORS VOTES “NO” ON 2 of DENVER’S STORM WATER DRAINAGE OPTIONS. I remember when this was a Safeway. 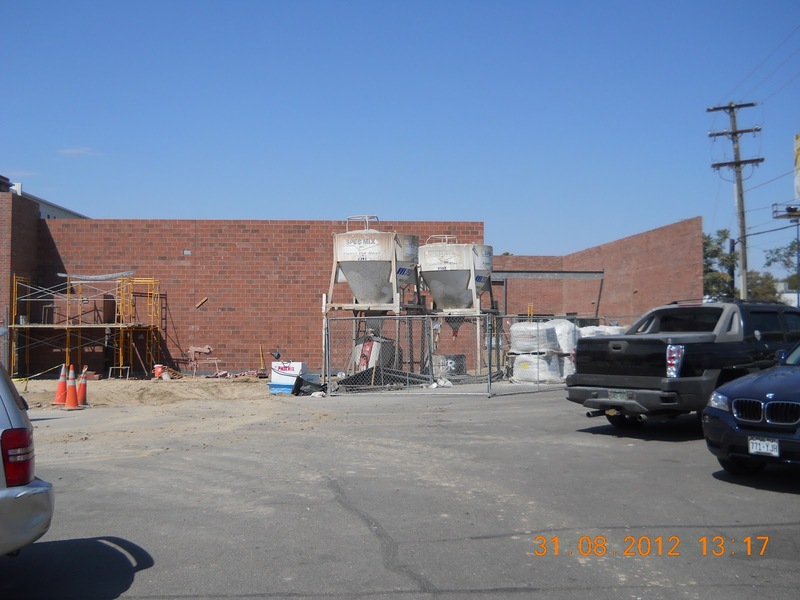 Back of new building which faces Colfax. The Office Depot is getting ready to move across the parking lot to a brand new building and has all of their stuff marked down from 10 to 30%. I picked up items like a wireless mouse and keyboard, wireless headphones, etc. that I’ve been meaning to buy but hadn’t gotten around to. This is not a paid advertisement, merely a recommendation. Begin preparations for the move at least 8 weeks in advance. Set up a specific moving date, and start contacting office moving Los Angeles for quotes and information. Be sure to get quotes from multiple moving companies to compare and contrast the different options. All of the work on this site, including the original YouTube videos by www.DenverDirect.tv, is licensed under a Creative Commons Attribution-Share Alike 3.0 United States License. Click on the symbol above for explanation.